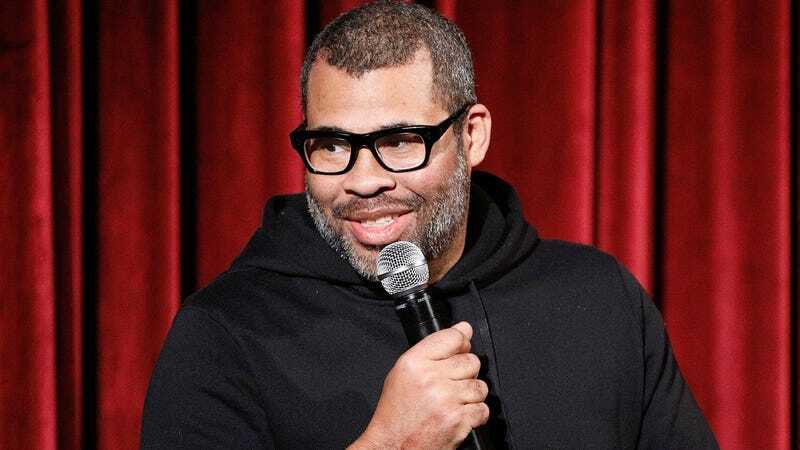 Jordan Peele: "I don’t see myself casting a white dude as the lead in my movie"
With a $70 million opening weekend for Us, Jordan Peele is officially two for two–and in more ways than one. Both of Peele’s feature directorial efforts have been horror films starring black actors in leading roles and they’ve broken box office records upon release; one of them–Get Out–even won an Oscar. And with his Twilight Zone reboot premiering next week on CBS All Access, Peele is quickly becoming one of the most prolific and acclaimed creatives on the planet, thanks in part to his focus on telling stories with diverse casts. So, what will he do next? According to The Hollywood Reporter, Peele says he’s going to keep using his position to explore stories that aren’t led by white people. Up next for Peele is the aforementioned Twilight Zone reboot, which he hosts and executive produces, and features a diverse cast including Kumail Nanjiani, John Cho, Steven Yeun, DeWanda Wise, and Jessica Williams. Peele’s Monkeypaw productions banner is also behind the upcoming remake of Candyman from director Nia DaCosta, starring Yahya Abdul-Mateen II and Teyonah Parris.